WILMINGTON, Mass.--(BUSINESS WIRE)--Nov. 13, 2018-- Charles River Laboratories International, Inc. (NYSE: CRL) today announced new additions to the Tumor Model Compendium. Charles River’s Compendium provides access to a comprehensive collection of well-established tumor models for early-stage oncology research. The most recent Compendium update adds gastric and liver models, as well as new molecular data for leukemia, liver cancer, lymphoma, breast cancer and ovarian cancer. The newest additions to the Compendium provide oncology researchers access to data that allows them to identify the most appropriate tumor models, leading to a more targeted study design from the start, saving time and money on the path to the clinic. The Compendium includes tumor models from a wide range of tumor subtypes for both in vivo and in vitro oncology research, including patient-derived xenografts (PDXs), cell line-derived xenografts (CDX), and syngeneic models. 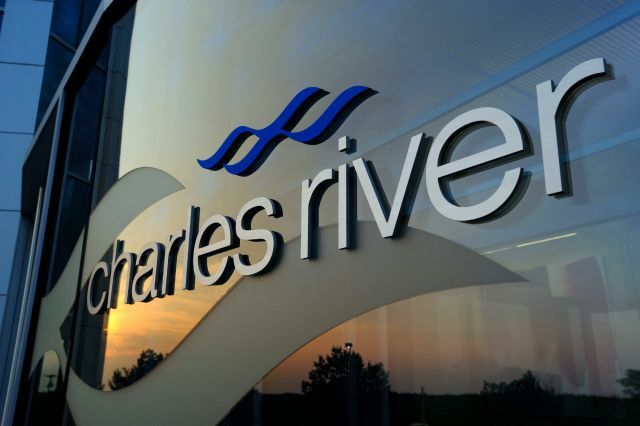 The Compendium is just one example of Charles River’s commitment to oncology research. Charles River experts presented four posters at the Society for Immunotherapy’s (SITC) 33rd Annual Meeting and will present nine posters at the European Organisation for Research and Treatment of Cancer (EORTC) Conference in Dublin, Ireland. Modulation of adenosine levels in the tumor microenvironment following treatment with anti-PD1 antibodies and oxaliplatin: an in vivo microdialysis study (Presented at SITC’s 33rd Annual Meeting by Arash Rassoulpour) Utilizing in vivo microdialysis, a technique that has been prominent in neuroscience research for over 50 years, Charles River researchers monitored oncometabolites and immunomodulators directly in the tumor microenvironment. Development of a disseminated AML mouse model to evaluate the therapeutic activity of immune checkpoint inhibitors using bioluminescence imaging (To be presented at EORTC by David Harris) Charles River researchers developed a disseminated AML disease model to evaluate the therapeutic response to immune checkpoint inhibitors, PD-1, PD-L1 and CTLA-4. A full schedule of Charles River’s activities during SITC’s 33rd Annual Meeting and EORTC is available online, with poster reprint available after the conferences. Reprints of posters presented at EORTC will also be available in booth A2 during the show.